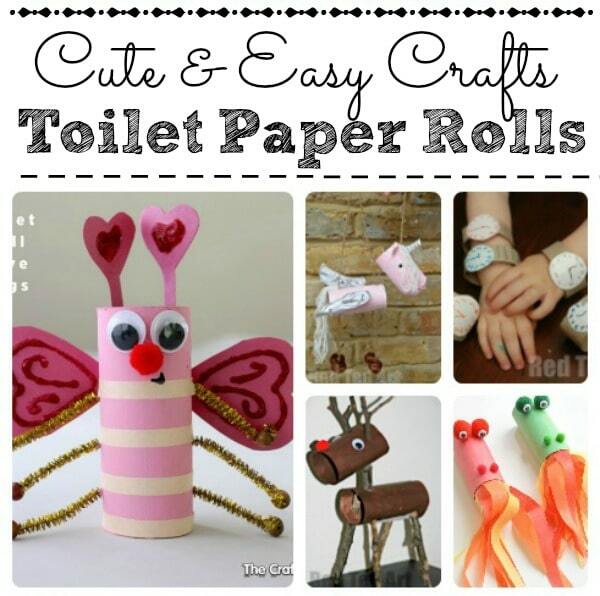 Now our love affair with Toilet Paper Roll Crafts goes a LONG WAY BACK! 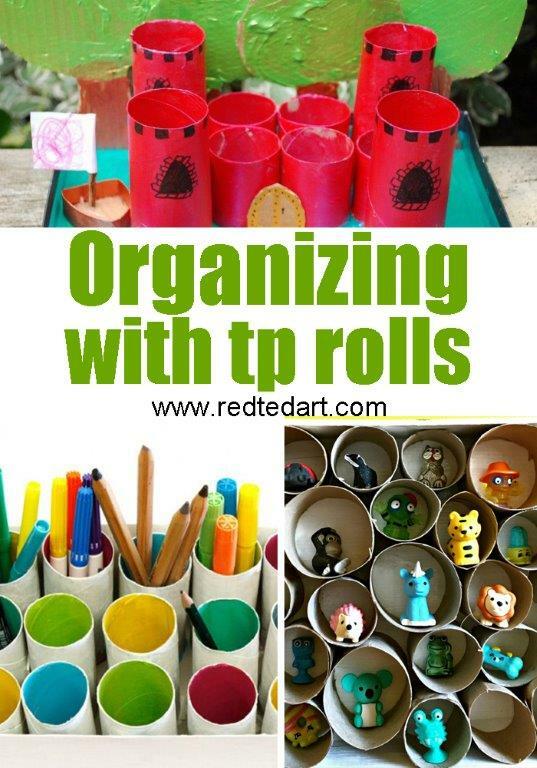 In fact, I think one of our first 5 or so kids crafts here on Red Ted Art all those year’s ago was a craft made out of the oh so humble TP Roll!!!! We love crafting with TP Rolls.. they are plentiful, pretty much EVERYONE has them.. and toilet paper rolls are surprisingly versatile! They are also free. And go well with our love of free craft resources, such as our Nature Crafts for Kids, we also adore Newspaper DIYs…. so without too much further ado… let’s see what you can make out of the humble Loo Roll!!!!! 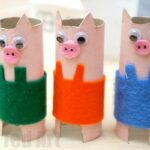 There is nothing quite like a Easy Toilet Paper Roll Crafts for kids! 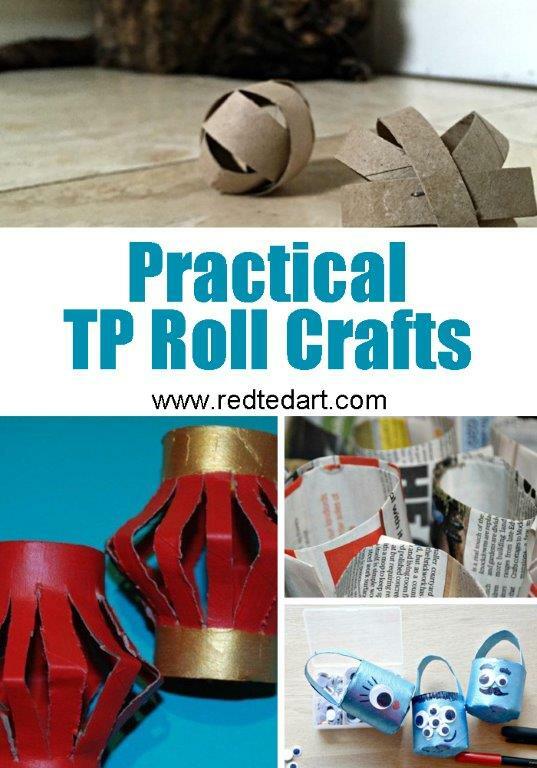 Remember, we LOVE TP Roll Crafts here on Red Ted Art and will be adding more over time. So do make this your first port of call if you are looking for something specific to make out of TP Rolls.. alternatively, leave me a comment below if you can’t find what you are looking for!! 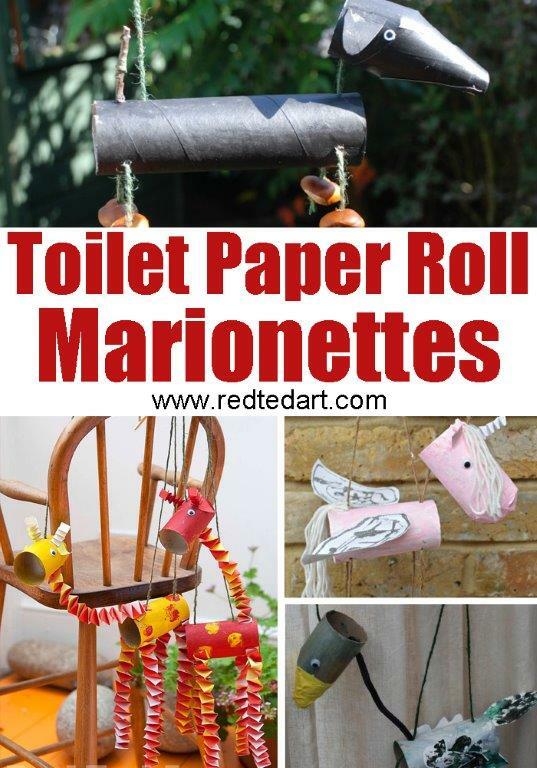 Oh yes, we LOVE LOVE LOVE the idea of using toilet paper rolls to make marionettes! It all started with our “Giraffes Can’t Dance” puppets and suddenly we knew.. MORE marionettes needed to be made! 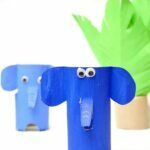 We also made some cardboard tube Giraffe marionettes a long long time ago! TP Roll Binoculars are SUCH a childhood classic, that we have in fact made several versions of them over the years – decorated in all sorts of manners… and “not decorated” at all (my kids frequently turn up with taped together TP Rolls dangling from their necks).. but if you do want to decorate and maybe use some handy printables here or there, check out these themed Toilet Paper Roll Binoculars! Sometimes, things are just a bit busy. 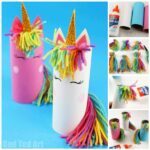 If you want to craft something.. but want to craft in a hurry or don’t have much time to “set things up”.. here are some cute and simple “5 minute Toilet paper crafts”. TP Roll Bunny Box – these make great little treat boxes too! 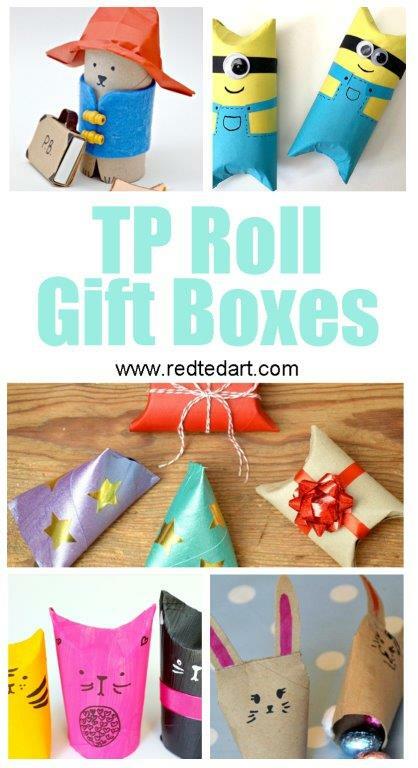 You can also turn your Toilet Paper Rolls into fabulous Chick Gift Boxes! How cute are these? And they are no mess and only take minutes to make!! 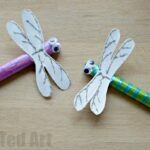 Many of the easy TP Roll Crafts for Kids we have made over time, have just been “play things”.. things we made to go with a favourite book or story.. to bring the story to life and to play with. 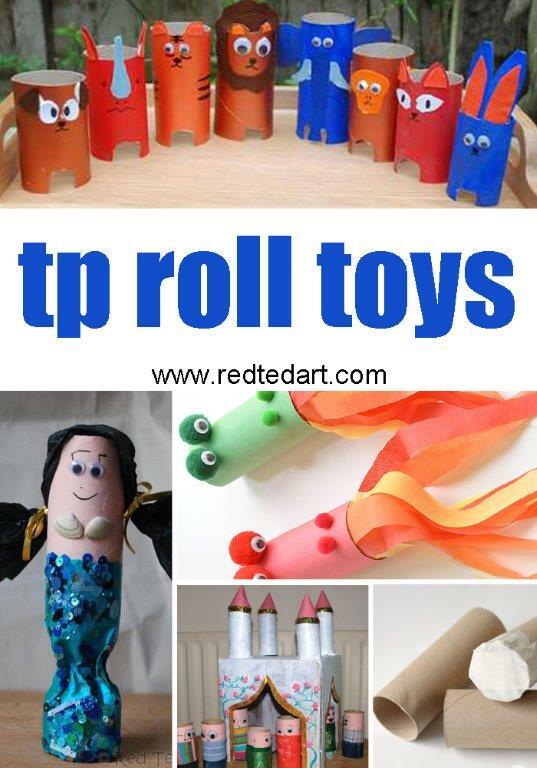 You will see.. we have a great long list of Toilet Paper Roll Toys and Play sets that the kids can make with you. Hrre we go…. MOVIE & CRAFT Captain Jack Sparrow! 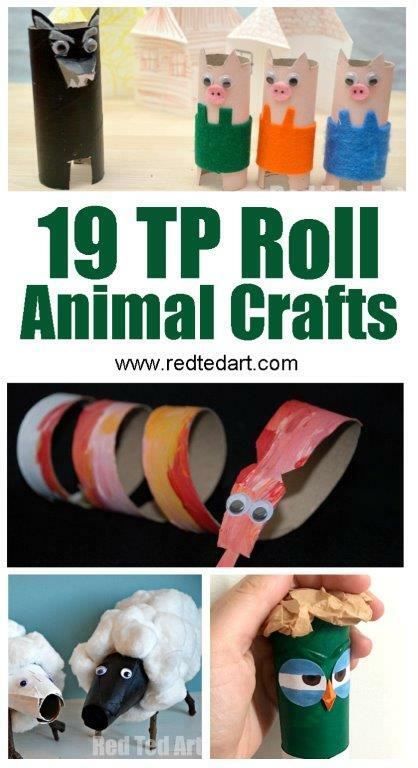 This is a recap of some of the TP Roll Crafts for kids in other sections, but again, I think it is worth to highlight them again in a special Toilet Paper Roll Animal Crafts subsection. I have ordered them alphabetically (by animal name, not title of the post!!) 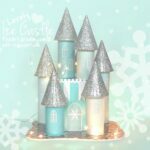 and I have some great new crafts coming for this section over the coming months, so please do check back again! 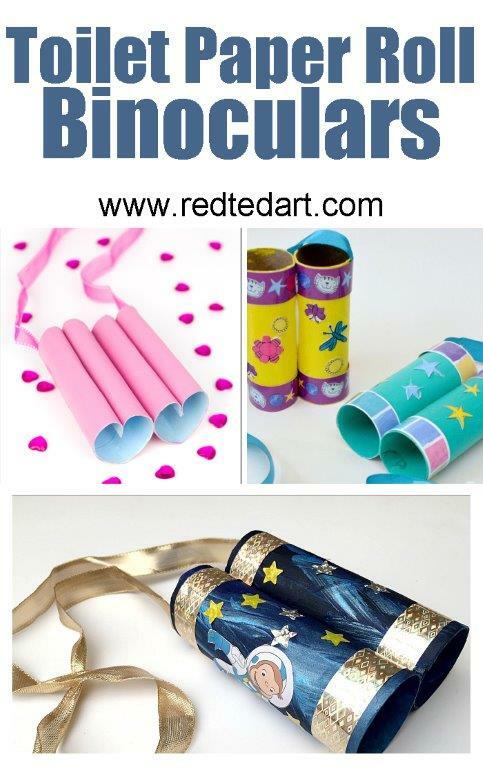 (In fact, do take a peak at our Bug Toilet Paper Roll Crafts section as welll as a dedicated Toilet Paper Roll Animal Crafts section! So cute). 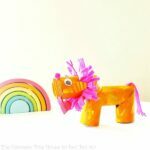 Arty recycled fun with this Love Struck Lion Craft – Toilet Paper Roll Lion – so cute! 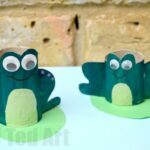 Toilet Paper Roll Frogs so fun! Super cute CHICK Toilet Paper Roll gift box! N is for Narwhal com – a super fun and easy Toilet Paper Roll Narwhal Craft. The kids will love this one! Yes, you can WEAR your toilet paper roll creations too! And often you can’t even tell it is a TP Roll.. well it depends on what you are making of course. 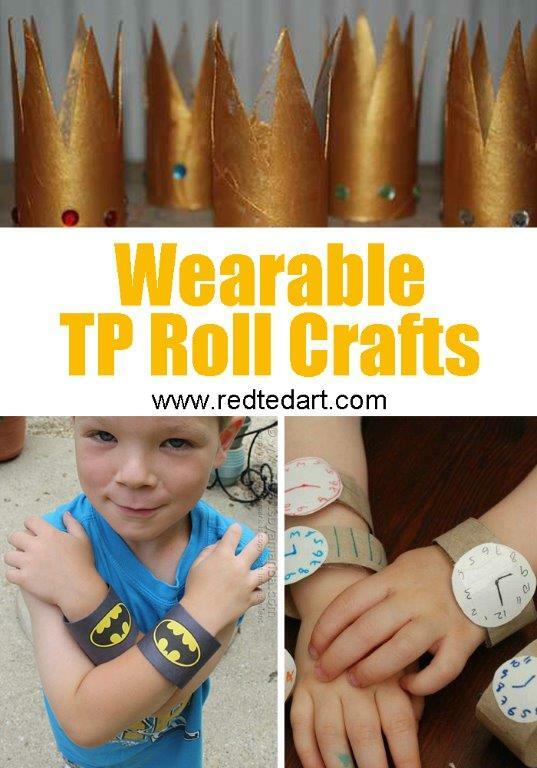 But here are some great TP Roll wearable ideas for you! 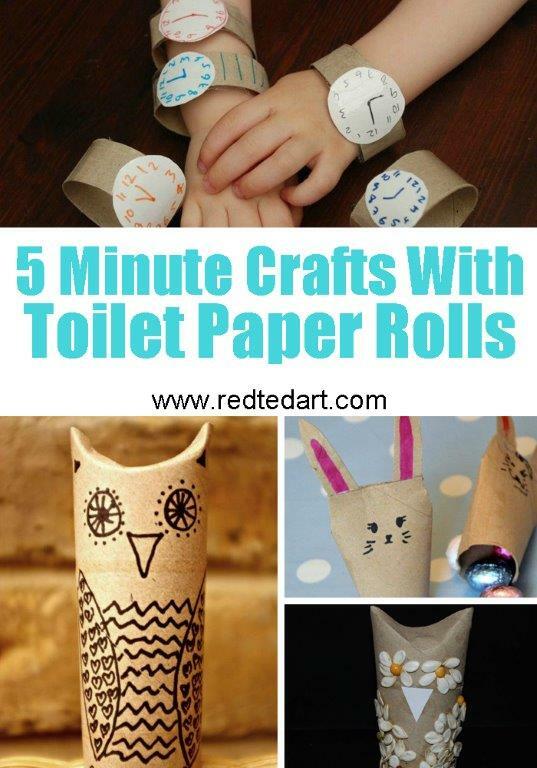 They are quick and easy too and should probably go into the 5 minute TP Roll Craft category too! As with our TP Roll Animal section, these TP Roll Autumn Crafts are been regrouped from previous sections – specifically for Autumn, as sometimes it is nice to browse by season! 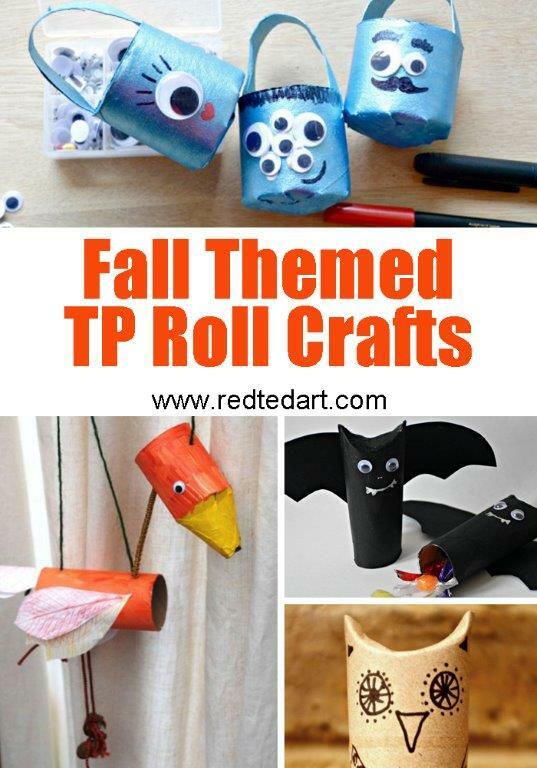 We also have a specila Toilet Paper Roll Halloween Crafts section fo ryou to explore! 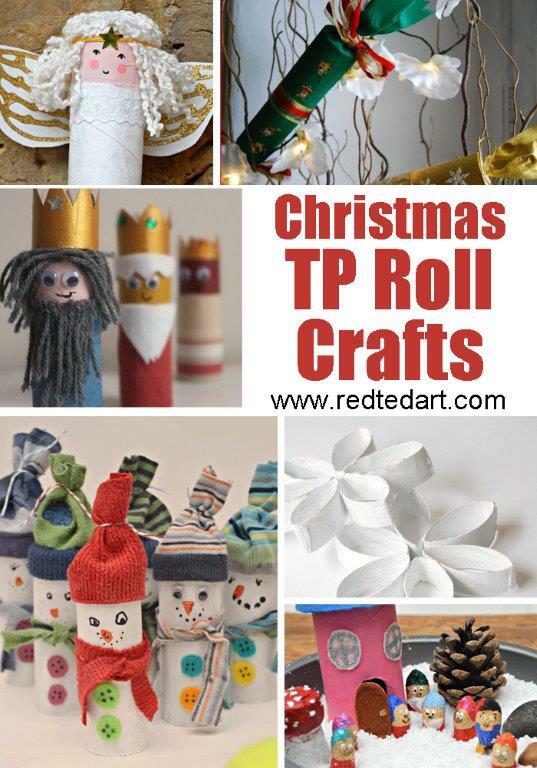 Well.. if you know Red Ted Art well.. you will know that we have written about Toilet Paper Roll Christmas Crafts before!! But will share them here (for completeness sake again!). You may have seen some of the following in sections above, but they are suitable for Christmas too, so I thought I would share them again! How about a Twiggy TP Roll Rudolph? Yes please! Alternatively, make your OWN set of 3 Kings AND a Camel! (The Camel still makes me giggle). Find the TP Roll 3 Kings here and the TP Roll Camel here. Or make some cute little TP Roll Snowflakes with the kids and decorate the house! 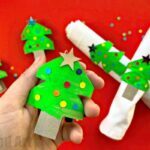 But do check out our original Toilet Paper Roll Christmas Crafts list, because we have some surprise extras! Thank you for those great resources! Amazing ideas! Need more rolls!